Vote For Circle Fresh Farms! Circle Fresh Farms needs your help! They are currently involved in a contest to see which local small business will receive $10,000 to help their business grow. The contest is sponsored by “On Deck Capital” and will be giving the ten-thousand dollar award to the top vote getter in their Facebook contest. Right now, Circle Fresh Farms is in the top five, but they need your vote to qualify for the grand prize. 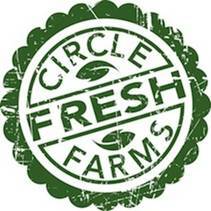 All you have to do is go to the Facebook page link here, and vote for Circle Fresh Farms. You can also go to the Circle Fresh Farms website for a link to the contest page. You can also help by posting this blog to your Facebook and Twitter account and encouraging your friends to vote for this amazing Colorado Company. The more votes they get, the closer they are to the $10,000 grand prize which means they can expand their network and continue to provide locally grown, quality produce for families along the Front Range. Circle Fresh Farms also supports local farmers by working with a network of farms to grow their vegetables, all of which are currently sold at metro area Whole Foods. CFF is changing the produce industry, from using less land, less water while still growing the highest quality vegetables available in Colorado. So help us get the word out and support this great local business! https://www.staskoagency.com/wp-content/uploads/2016/12/94655-image001.jpg 211 211 Stasko Agency https://www.staskoagency.com/wp-content/uploads/2018/03/stasko-logo-dark-sm.png Stasko Agency2013-03-22 22:56:002018-03-07 06:47:59Vote For Circle Fresh Farms!